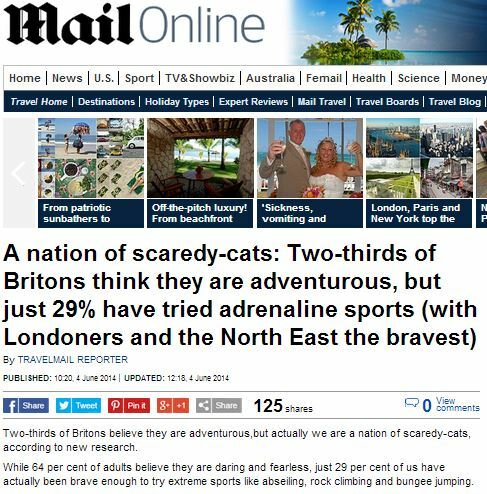 Two-thirds of Britons believe they are adventurous,but actually we are a nation of scaredy-cats, according to new research. While 64 per cent of adults believe they are daring and fearless, just 29 per cent of us have actually been brave enough to try extreme sports like abseiling, rock climbing and bungee jumping. And our bravery depends on where we live, with Londoners and those from the North East and West Midlands named as the most adventurous in the country. Nearly two thirds (64%) of British adults perceive themselves to be a fearless adventurous type of person. 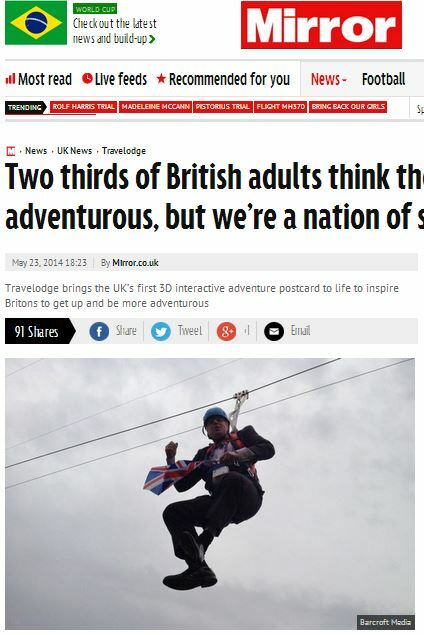 However, a new study by Travelodge has revealed we’re actually a nation of scaredy cats, as only 29% of Britons has actually had the courage to take on an adventurous activity. In response to this misconception and to celebrate it’s new ‘Get Up & Go’ campaign, Travelodge has commissioned the UK’s first series of interactive 3D adventure postcards. 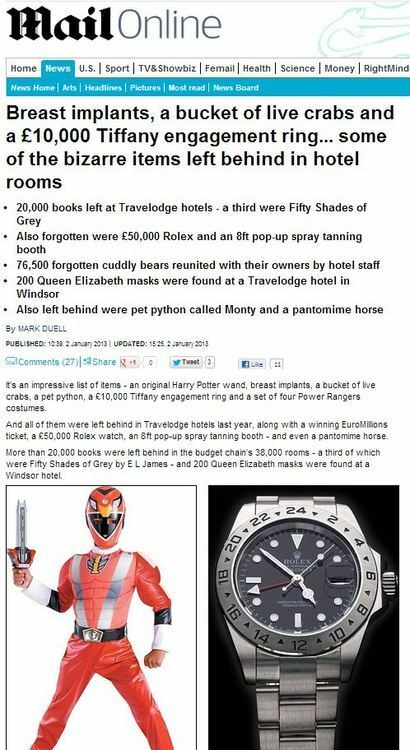 As the Mirror makes abundantly clear three times in the first four paragraphs, this story is nothing more than an overt piece of promotion for a hotel chain, and their new campaign to encourage people to take holidays around the UK, and do adventurous things. It’s hard to know what to make of this from the Mirror – are they at the vanguard of a new push for transparency in journalism? Or is this the accidental side-effect of an over-eager web index? Either way, it makes my job a hell of a lot easier, and for that I thank them. 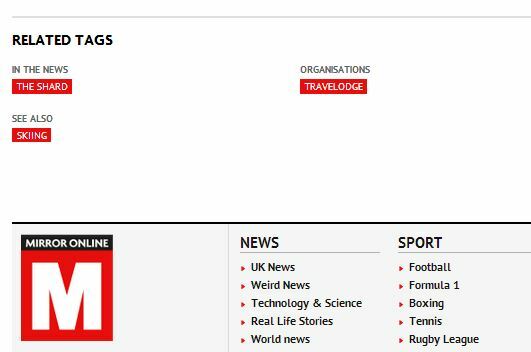 This entry was posted in Travelodge and tagged corinne sweet, daily mail, mirror, shakila ahmed, travelmail reporter, travelodge on June 16, 2014 by Michael Marshall. A face in the moon is scarier to sleeping kids than werewolves, monsters and vampires – and being without friends at school. Half of British children have at least two nightmares a week, a new study reveals. More than a quarter (29 per cent) of kids regularly have a nightmare about the ‘man in the moon’. 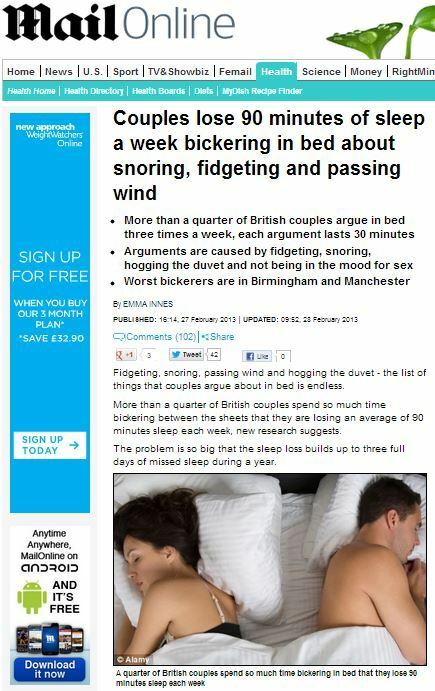 It’s nice of the Mirror to highlight what parents should avoid exposing their children to if they’re to secure that all-important good night’s sleep – but which company paid a PR agency to come up with this ‘research’? Shakila Ahmed, spokeswoman for Travelodge who carried out the survey, said: “It’s quite frightening so many children across the country are experiencing regular nightmares. 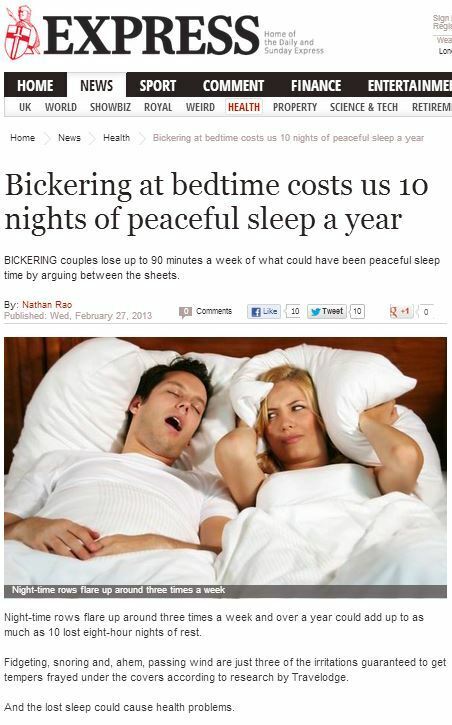 “It seems the issue stems from children not having a fixed bedtime routine. Travelodge, the hotel chain, want you and your children to have a good night’s sleep. 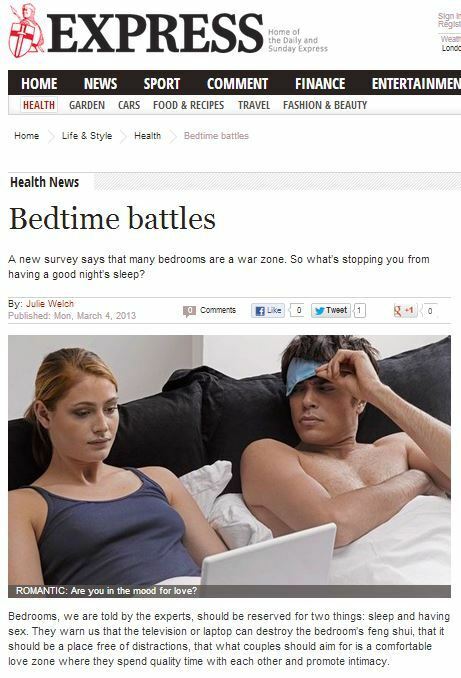 They may also have a view on where you can go to get that sleep. This entry was posted in Travelodge and tagged corinne sweet, mirror, shakila ahmed, travelodge, vicky smith on November 15, 2013 by Michael Marshall. The primary purpose of any press release – particularly a commercial press release – is to gain media coverage for the client; to get the client’s name as far as possible into the public sphere in a way that does not appear to be an advert. Often there are secondary purposes – perhaps to publicise a new product range, or to inform the public of a new breakthrough in technology, or even as cynically as to plant a subtle hint that the public has a problem which they were previously unaware of, but which the client in question is the solution to. Running up to Christmas, the hotel chain Travelodge took both of these purposes very seriously indeed, seeding a string of articles into the press to promote the notion that spending Christmas in the bosom of our family is a stressful and friction-filled affair, liable to result in all manner of arguments and issues. We’ve been told that families argue, on average, as early as 10:13am on Christmas Morning, and that of all the guests expected over Christmas time, it’s the mother-in-law we dread seeing the most. 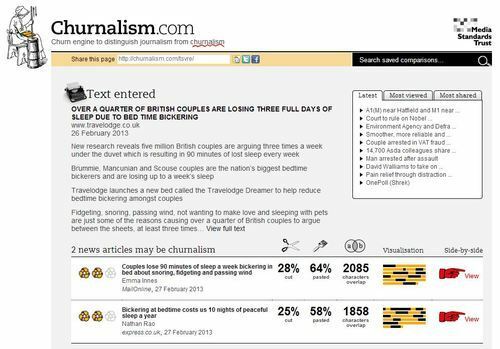 Travelodge, then, are so successful at getting their coverage into the press that the Daily Mail will take a single press release of theirs and cut it into two – which, from the newspaper’s perspective, is an effective use of resources at a busy time of the year. And, of course, the client is delighted that they get double the coverage for their business. So who loses out here? As ever, it is the reader. 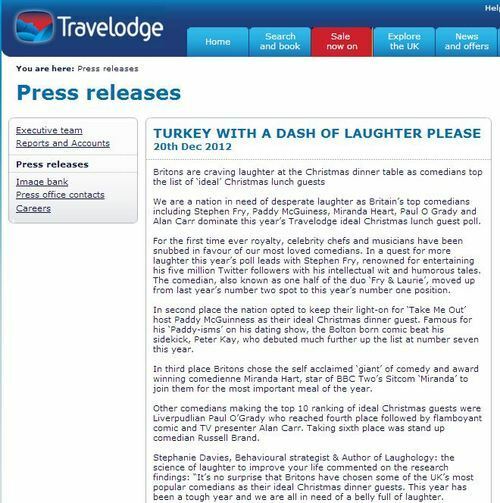 Throughout all of the Christmas press releases by Travelodge, the angle has always been the same – spending time with your family can be hell, so why not book into a hotel instead? That Travelodge think it’s acceptable to advertise their rooms by perpetuating all manner of negative stereotypes and pseudo-gender wars is, quite frankly, a huge shame, and a disappointment. 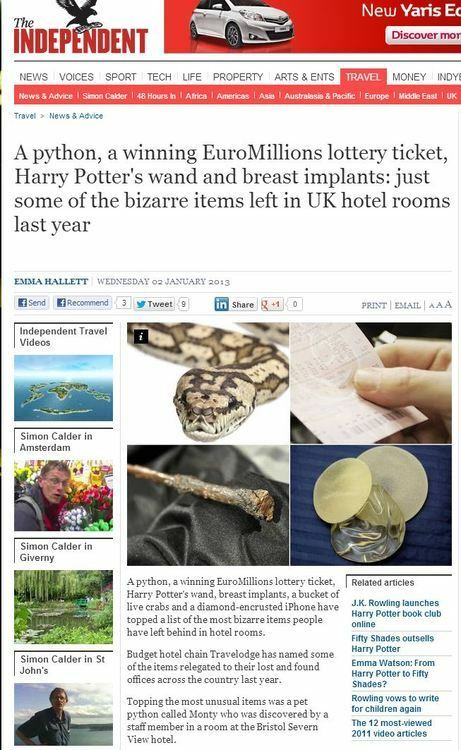 That the newspapers uncritically publish this non-research as if it were genuine news, is just as bad. This entry was posted in Christmas, Travelodge and tagged christmas, corinne sweet, daily mail, kerry mcdermott, shakila ahmed, travelodge on January 2, 2013 by Michael Marshall. 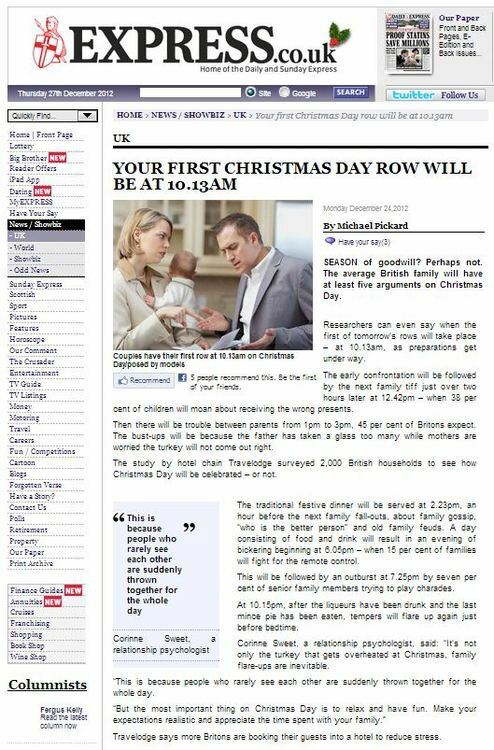 The average British family will have at least five arguments on Christmas Day – with the first row taking place at 10.13am, a new survey shows. 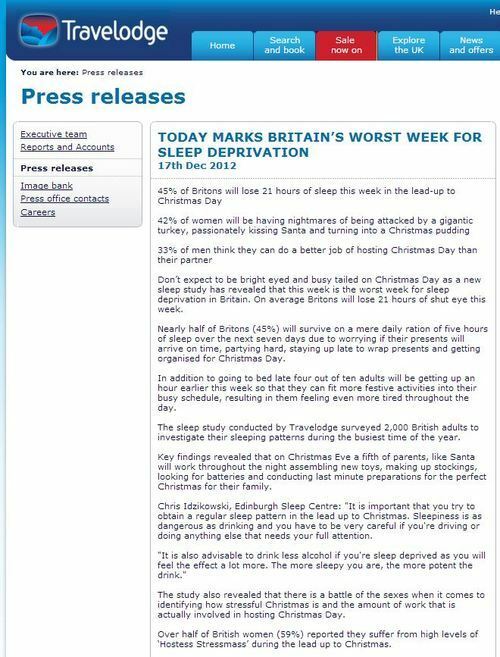 The research surveyed 2,000 British households to see how Christmas Day will be celebrated. And after the early confrontation, the next family row will take place at 12.42pm when 38 per cent of children will moan about receiving the wrong presents. SEASON of goodwill? Perhaps not. The average British family will have at least five arguments on Christmas Day. Researchers can even say when the first of tomorrow’s rows will take place – at 10.13am, as preparations get under way. 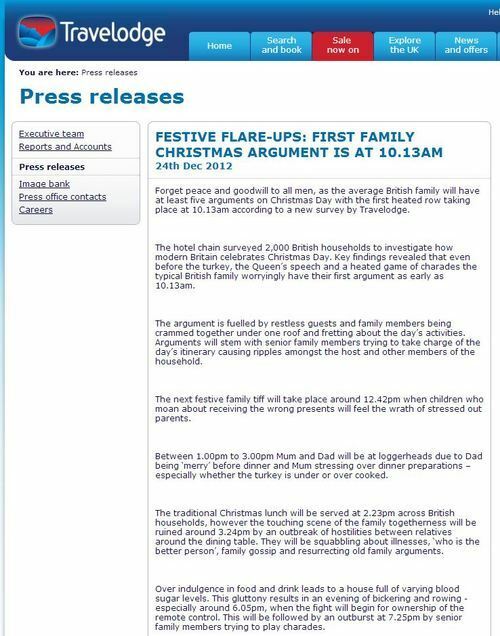 The early confrontation will be followed by the next family tiff just over two hours later at 12.42pm – when 38 per cent of children will moan about receiving the wrong presents. Who can we thank for this slice of Seasonal sunshine? 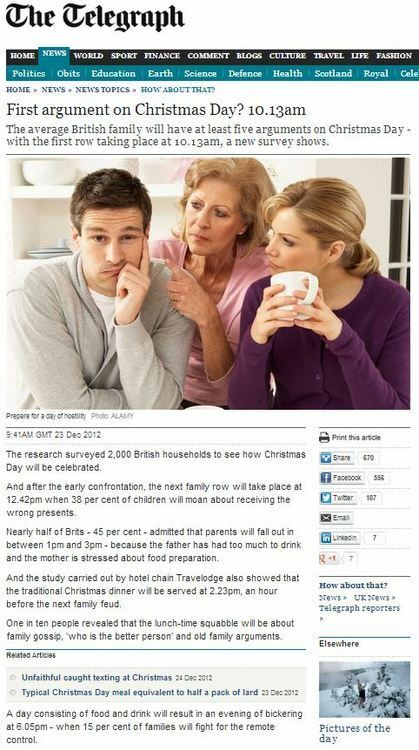 The study by hotel chain Travelodge surveyed 2,000 British households to see how Christmas Day will be celebrated – or not. It might seem odd that a hotel firm might want to publicise the idea that Christmases around our family are hard to bear and cause a huge amount of friction – what would they have to gain from promoting this view (besides getting the name into the national press, which is a goal in itself)? Shakila Ahmed, Travelodge spokeswoman said: “Christmas Day entails lots of excitement, tension and high expectations. Therefore family flare-ups are bound to happen, especially as lots of people are staying together under one roof. So the angle becomes clear: stay with your families at Christmas and you’ll have a miserable time, but book into a nearby hotel and you’ll be able to approach your family with love and harmony. Merry Christmas one and all, from the Travelodge PR team! 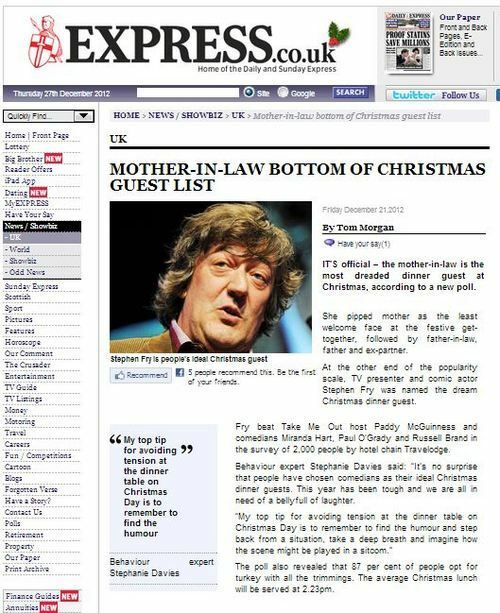 This entry was posted in Christmas, Travelodge and tagged christmas, corinne sweet, daily express, Michael Pickard, shakila ahmed, telegraph, travelodge on December 30, 2012 by Michael Marshall.